Half-term is approaching so here is a handy list of many of the FREE events and family activities taking place during the school holidays to keep your children entertained in North East England. Taking place in locations right across the region including Northumberland, Newcastle, Gateshead, North Tyneside, South Tyneside, Sunderland, Durham & Teesside I have categorised them as either Science, Tech, Foodie, Arts & Craft, Heritage and Festivals free family events and activities, to make it easier to search through. As ever some details may change so please do check with event organisers - contact deatils are included as a link. The dark skies above Hamsterley Forest make for a great place to stargaze. The Milky Way is clearly visible arching across the skies and thousands of more stars can be seen compared to our towns and cities. Learn how to find your way around the night sky and how to locate fascinating objects including those our eyes alone cannot see — you are welcome to bring binoculars or a telescope! Hot drinks will be available for a small fee and the event itself is free or charge. A car parking ticket will be required. To see the stars depends on the weather, therefore this event will be short-notice and run from 7pm on a “first clear night” basis. Click for more information or to register your interest in attending this event and to receive a notification when the exact date is known (1 or 2 days before). NHSN: What do owls eat? Have a go at dissecting an owl pellet and see if you can work out what it has been eating. 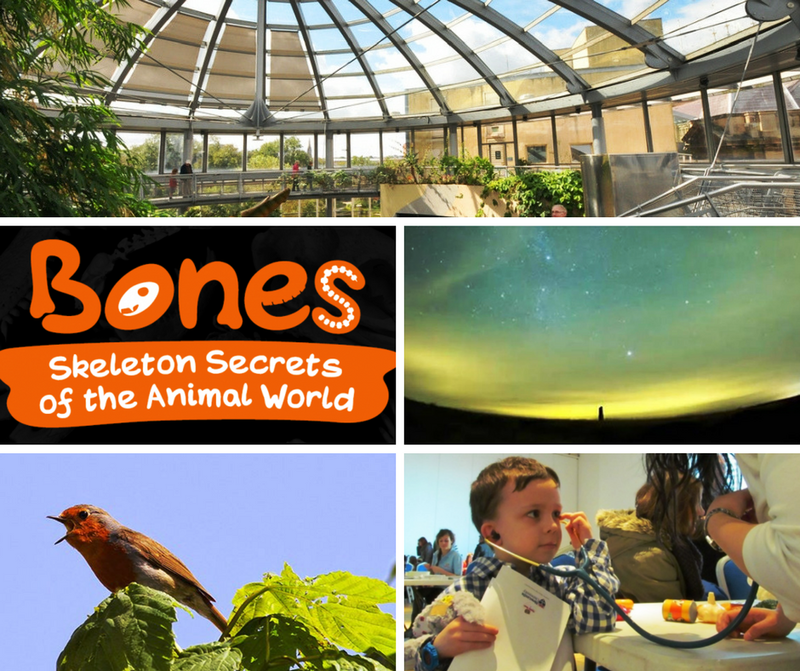 Learn about animal bones and owls. Suitable for supervised children 6+. Meet the local Coastal Conservation Group and Souter's ranger to learn your finches from your thrushes. Age 7+. Subject to weather conditions. Wrap up warm and meet in the car park. 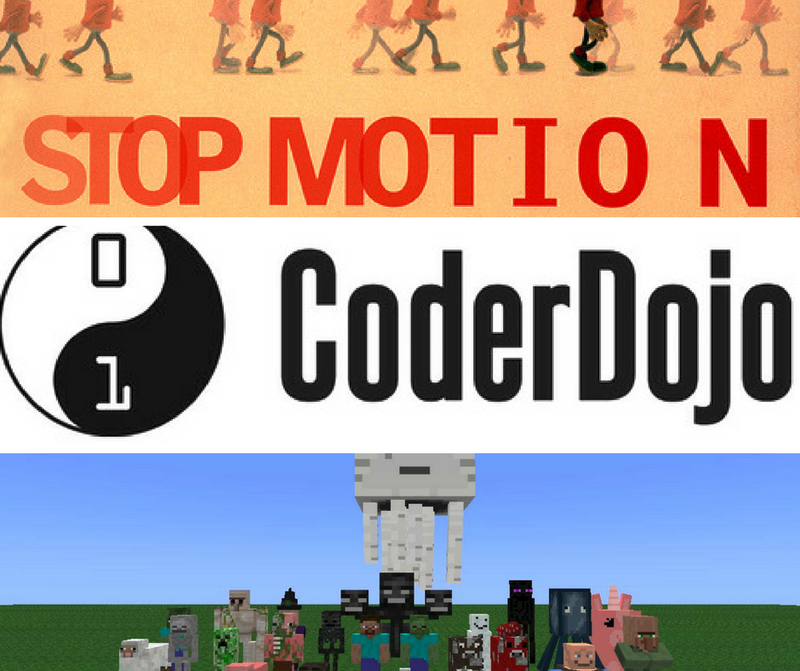 Aimed at those 7yrs and over here you’ll have the opportunity to use tablets to make your very own stop motion movie. Complete the Jedi Challenge, create a hologram & take part in lots of Star Wars themed activities. Create characters from your favourite books or join worlds with your friends Just remember no TNT! Ghasts, creepers and endermen beware! Bring your tablet or phone and join in minecrafting activities at our Minecraft Club. Bring your own tablet or use one of theirs - limited numbers available. Suitable for children of all ages. 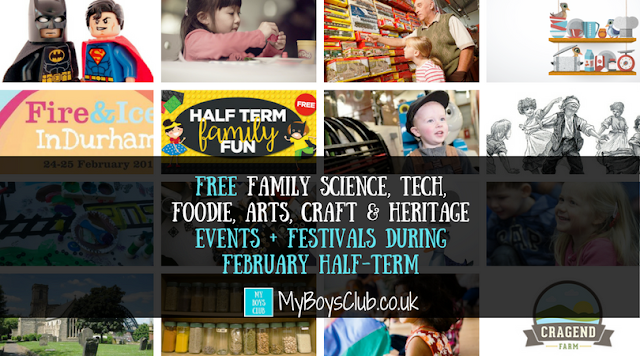 Come and join us on the Concourse for some crafty fun this February half term to keep little fingers busy! Come and learn how to create beautiful garden decoration from recycled material. Drop-in craft session, make your own steampunk creation! Create your own paper automaton creation or craft your own keyring or steampunk wearables using cogs, metals, bolts, screws, cotton and wool. Paper crafts – free with a £2 charge for metal crafts. Explore brilliant art in the Museum on the art safari, get creative with our art challenges and discover more about artists working in Sunderland today. Make a messy art creation in the Platform Gallery. Families with children under 13 are invited to this free drop-in to explore structures from the inside out, all things oozy, bendy and crumbly. Experiment with balloons, bubbles and foam - dress for mess. This family activity is inspired by the work of Holly Hendry. 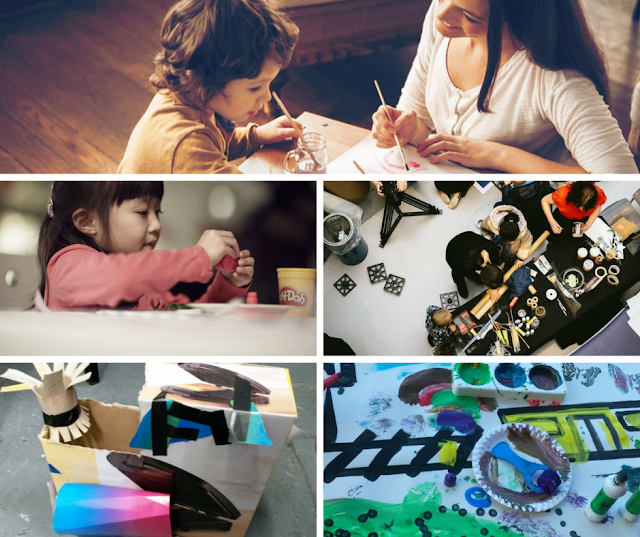 Children will enjoy putting their creativity to the test to build their own junk model of a train, car, plane or whatever transport they choose. Join in the free fun throughout the school half term holidays between Monday 20 until Sunday 26 February in Exhibition Square, as there’ll be a tasty week whipping up filled with fun cooking activities for all your little chefs. There will be loads of foodie arts and crafts, including biscuit decorating, comedy chef demonstrations and taste tasting with the Metrognomes. Bring your little ones imagination to life in our play kitchen area while you take a moment to relax in the picnic area. Join in the free fun throughout the school holidays, with a tasty week filled with fun cooking activities for all your little chefs. From crazy concoctions that go fizz to colourful creations that amaze, Professor Sproutorium and his cooky assistant Doctor Brussels invite you along to discover lots of foodie fun in their crazy laboratory. 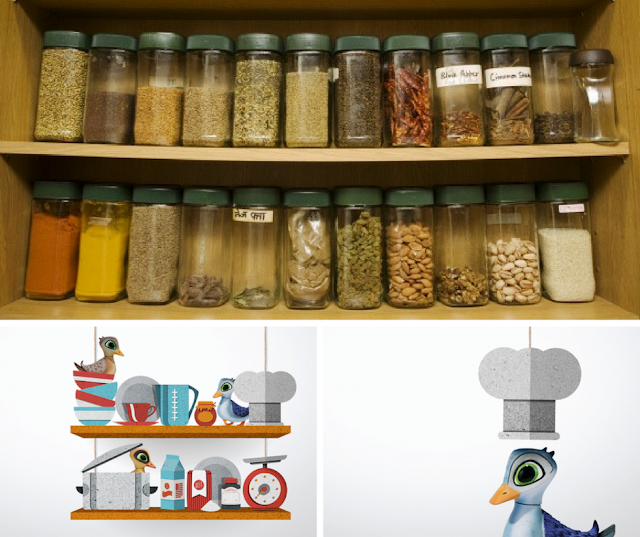 Welcome to the Muffin Lab – a laboratory where any flavour goes! Whether you want to play it safe with the well-loved flavours or mix it up with a little bit of everything (including slime! ), we’ve got the ingredients to make some out of this world muffin concoctions! Create your very own 3D volcano from fondant icing ready to add to your cookie. Add a dash of popping candy to the volcanos for that explosive effect! Doctor Brussels is a creepy crawly fanatic and is bringing his love of bugs to the kitchen! Make your very own mini worm farm using special ingredients including chocolate brownies, green grass icing and a harvest of bright coloured fondant. There’ll also be gummy worms and icing bugs to complete the farm too! Time Kitchen - Is there really such a thing as traditional British food? When did fish and chips become our favourite dish? Why do we love a curry? Food is something we all need. It brings people together. What we eat reflects the world we live in. But what about its history? Is there really such a thing as traditional British food? 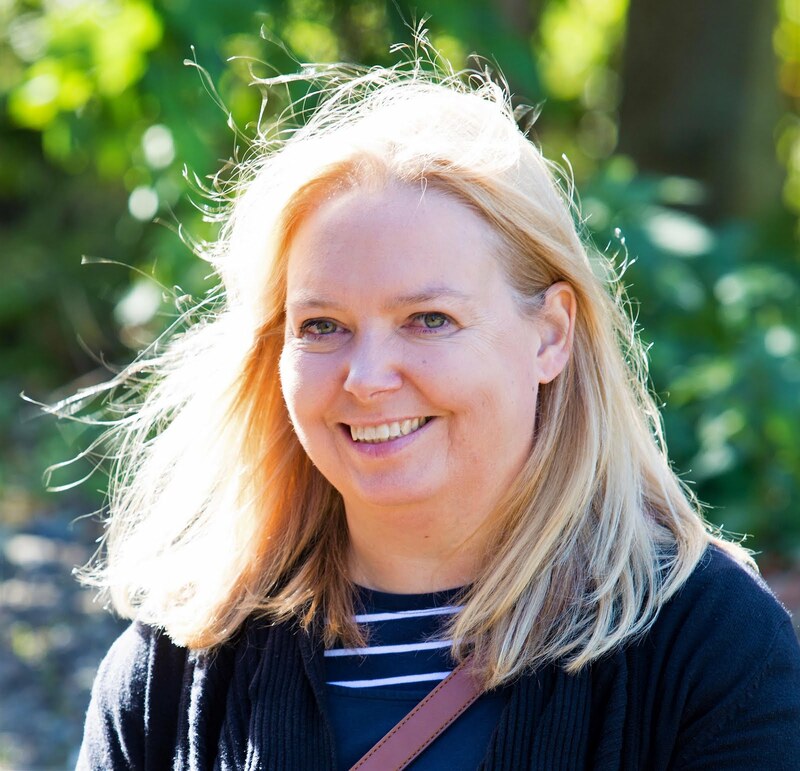 Join members of the Time Kitchen at Discovery Museum who will be offering a free taster menu of historical recipes and asking the question – When (and where) does your food come from? 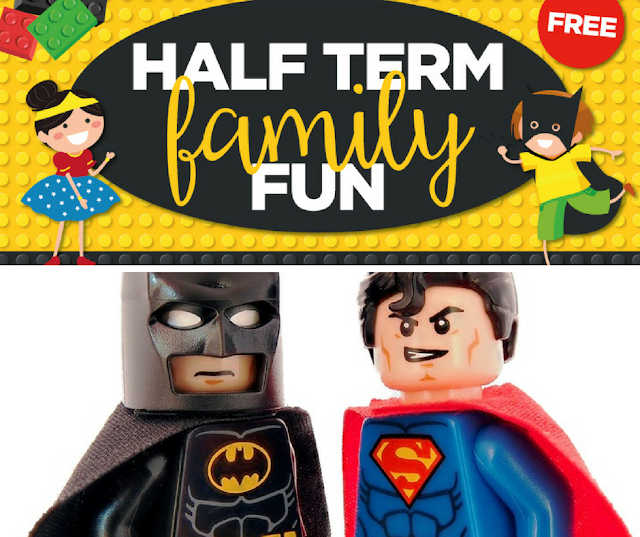 Celebrate the release of the Lego Batman movie with a free superhero craft session. Booking not required. 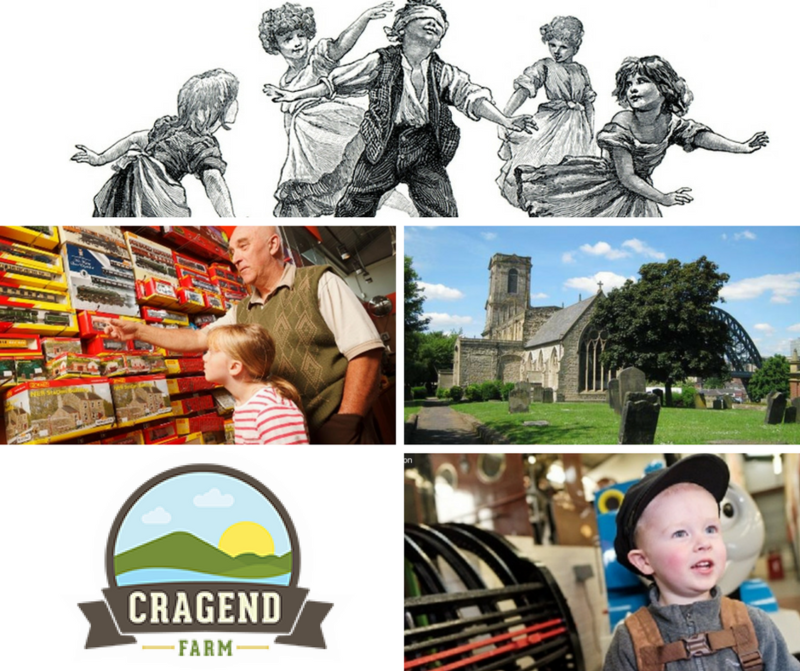 Visit Lord Armstrong of Cragside's farm Cragend with it's Grade II* listed Silo and historic Weighbridge. There are two turbines on site and plenty of other interesting historic facts about Victorian life to see. Cragend Farm sits quietly on the edge of the famous Cragside Estate, Rothbury, near Alnwick and Bamburgh, in Northumberland. This 16th-century farm was re-modelled and transformed by Northumbrian Industrialist Lord William Armstrong of Cragside in 1880’s with stone from the Cragend Quarry to use water-powered hydraulic engineering. It has a unique history thanks to this great innovators vision for engineering and science. A collection of traders will be at Locomotion selling model railways, railwayana and collectables. And discover over 70 heritage rail vehicles from the National Collection at the same time. Children of all ages can pop into St Mary’s over the half term and unravel the truth from the fiction about this building’s fascinating past. Plus the ever popular Victorian toys will be on display for you to play with. Dress as a Victorian child and explore the Station to find out about life in the past. Try different themed activities including washday, going to school and playing with Victorian toys. Make a toy rocking horse to take home. Do you know or have a small budding train enthusiast at home? Capture their imagination by letting them create their own engine driver cap and guard flags at our museum. 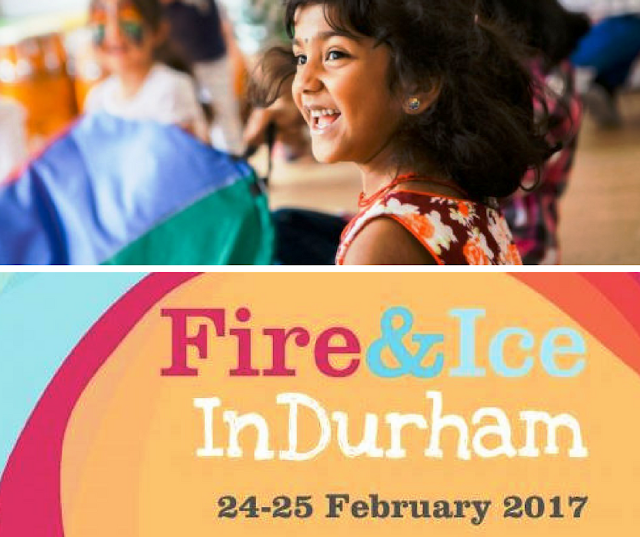 Head to Durham for fire breathing, ice sculpture trails, street entertainment and live demonstrations, culminating in a spectacular grand finale full of thrills and adventure. Experience myths and legends taking over Durham City! GemArts Mini Mela returns this February half term with an event packed full of family fun, with free workshops, performances, henna artists, face painting and lots of other exciting arts and crafts to take part in. Join in workshops featuring African, Chinese, Indian, Mexican and other visual arts from around the world, dance and drumming activities, learn something new and take home your very own creations. Let us know which events you go to. Hope you have fun.